South Adelaide Members who attend each of the club's home games will again be rewarded in 2017 as part of the SANFL's Member Appreciation Round. South Adelaide Members who attend each of the club's home games will receive tickets to this year's SANFL Macca's League finals series, while also being entered in the draw to win two tickets to attend the Official SANFL Grand Final Luncheon at Adelaide Oval. Not only do you feel a part of the team by attending matches and receiving exclusive content, your loyalty will be rewarded through Member Appreciation Round. Introduced last year, Member Appreciation Round will occur in each SANFL's club's final home match of the SANFL Macca's League season. 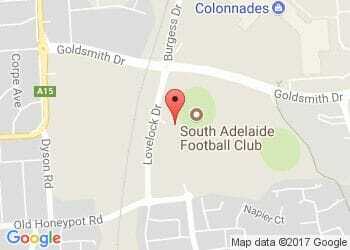 Purchasing a Membership and attending matches at Hickinbotham Oval is a great way to support the club financially, but also qualifies you for discounts on things such as food and beverage at Jimmy Deane's (20%), South Adelaide merchandise (10%) and South Adelaide Digital Passes, which are also significant. Not a 2017 Member? Sign up today! The Club Ticketed Member must have scanned into all home games in 2017 - using the one ticket.